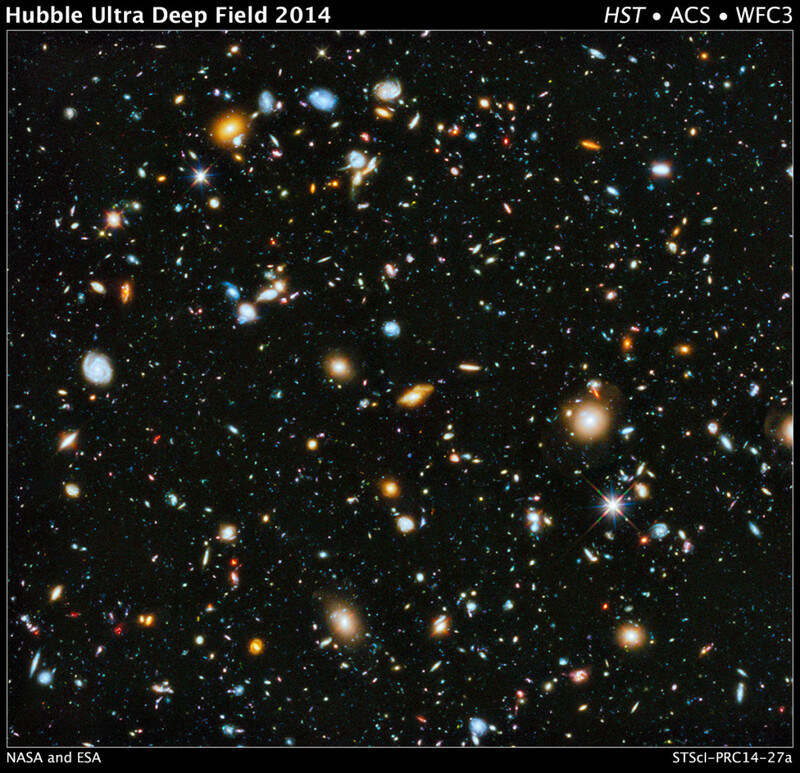 Astronomers operating the Hubble telescope have captured the most comprehensive (and most colorful) picture ever assembled of the evolving Universe. 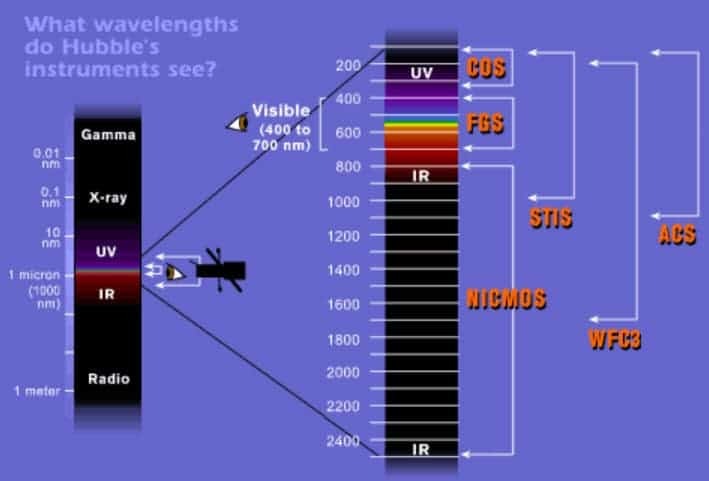 This was part of a study called the Ultraviolet Coverage of the Hubble Ultra Deep Field (UVUDF) project. Prior to this study, there was a significant lack of data for astronomers. They knew a lot about the galaxies which are close to us, and they also studied the most distant galaxies. But between 5 and 10 billion light-years away from us (when most stars were born) there was a big information gap – and the gap needed to be filled. The hottest, most massive and youngest stars, which emit light in ultraviolet wavelengths were neglected as sujects of direct observation. But the addition of ultraviolet data to the Hubble Ultra Deep Field using Hubble’s Wide Field Camera 3 gives astronomers access to unobscured observations of star formation, helping them understand how stars were (and still are) formed. They are focusing most on which galaxies are forming stars, and where these stars are formed. This will also help them understand how galaxies such as the Milky Way grew from just a small group of hot stars to the massive collection of stars we see today. The patch of the sky in the image was analyzed previously, with visible and near-infrared exposures taken from 2004 to 2009: the Hubble Ultra Deep Field. But now, with the addition of the ultraviolet light, they have information in all wavelengths – from ultraviolet to near-infrared light. The resulting image, made from 841 orbits of telescope viewing time, contains approximately 10,000 galaxies, and stretches to just a few million years after the Big Bang.